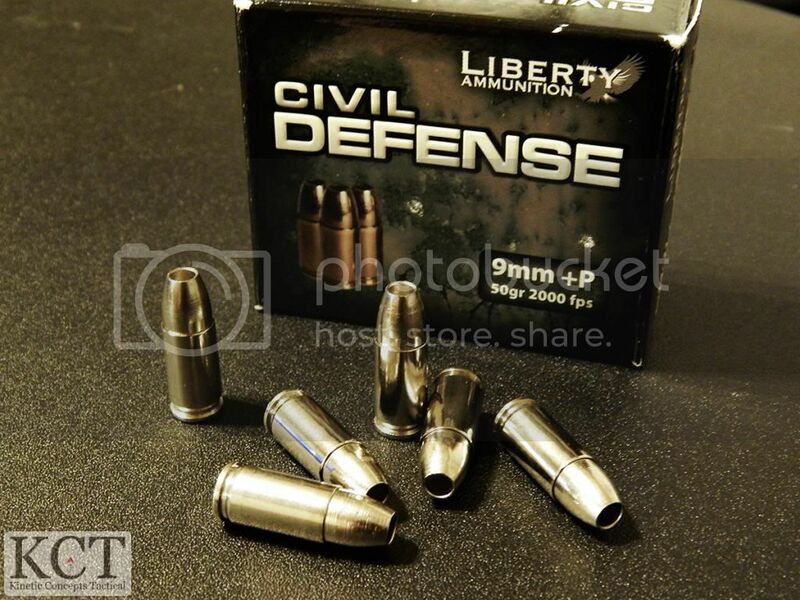 The Liberty Ammunition Civil Defense round has been coming up in quite a few conversations recently, so we thought we would take a look at the controversial round and give you our thoughts on it. First off, the round was the subject of some controversy when it debuted on shelves under the name Halo Point, in the font of the hit Microsoft game Halo. After a short scuffle, the rounds were back in stores using the far less catchy name of Liberty Ammunition Civil Defense. We predict that they will still be known as Halo Points. The big deal about these 9MM rounds is that they are a very lightweight round at 50 grains. They feature an obscenely deep hollow point, with most of their weight coming from a solid base. 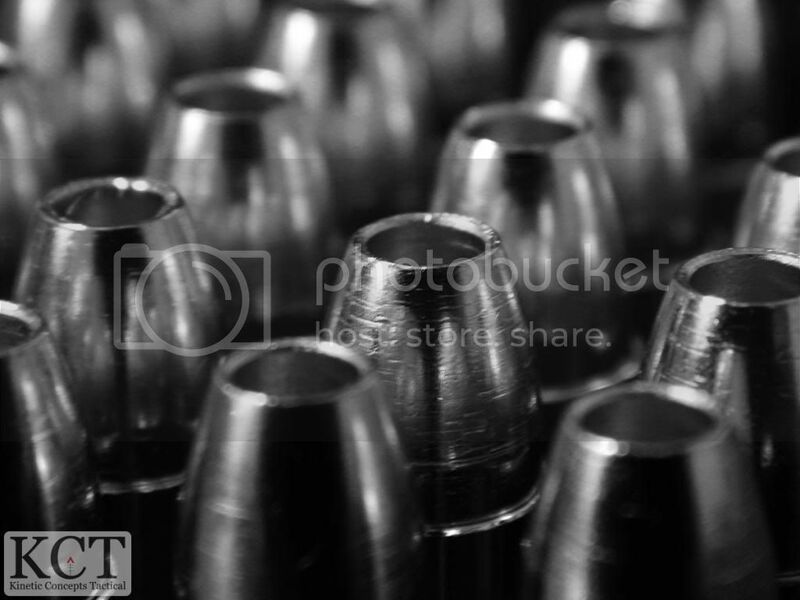 The round was designed to fragment rather than mushroom like a conventional hollow point. The manufacturer claims that the round clocks in at a sizzling 2000 fps. The light weight and +P rating of the round certainly supports these claims. These rounds are available in most common calibers, including 9MM, .40S&W, .45ACP, and .380 Auto. There are already a few ballistics gel and chronograph tests out there, so we thought that we would run the rounds through as many handguns as we could and see what we got. And we decided to do it in crappy weather. Scientific? Nope. But it did give us a good feel for the round. And we found that it had some interesting quirks. We went out to the range on a snowy day, with temperatures around 18F, with constant snow. We used four guns for our testing, a Kel-Tec PF9, a Glock 17 RTF2, an XDM, and a Sig P938, all chambered in 9MM. The first thing that we found is that this round did not like the subcompact handguns at all. It choked both the PF9 and the P938. We fired a magazine of these rounds through each handgun, and experienced a 40% failure rate. 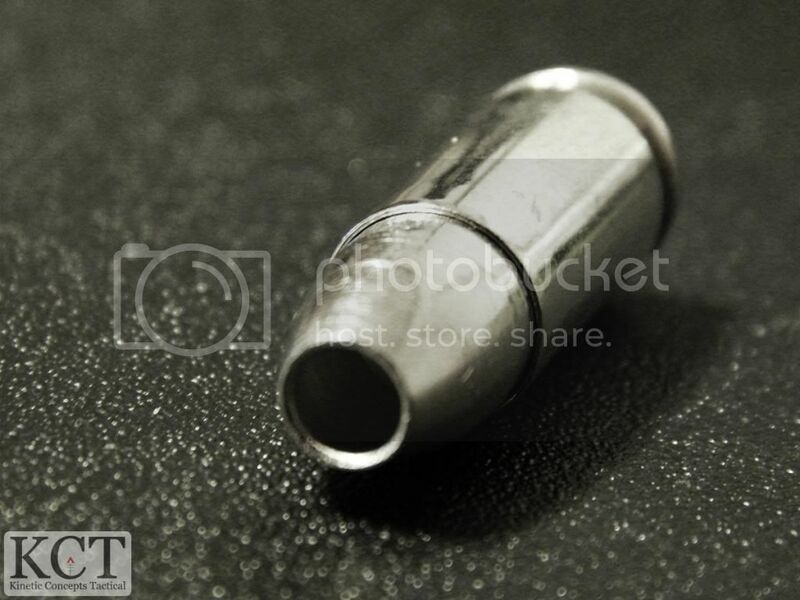 In each failure, the pistol cycled hard enough to eject the empty round and chamber a new one, but not enough to bring the gun back into battery. In some cases it did not cycle hard enough to reset the hammer on the Sig. The Kel-Tec experienced a rather interesting malfunction, as it failed to go into battery, we noticed a silver metallic disc wedged in between the chamber and the slide. It appeared to be a piece of the primer, but it slipped out of the gun when we opened the slide to take a look. The case was similarly lost in the snow. We set the little guns aside and got to the full-frames. The round performed flawlessly in the bigger handguns, with no hangups or malfunctions. The round proved flat shooting and accurate from the basic tests we performed. Shooting at the Action Target PT Torso and 8" circle Evil Roy targets, the round was easy to handle and keep on target. As we were shooting steel, we were unable to truly gauge the grouping and accuracy of the round. Recoil was snappier than normal ball rounds, with a sharper initial kick, but no noticeable increase in muzzle rise when practicing proper fundamentals. We were shooting with winter gloves on, so proper grip was a bit more challenging. The high speed and rapid and vicious fragmenting capabilities of this round seem ready made for a pistol-caliber carbine like the Hi-Point 995 and the Kel-Tec Sub2000. We will examine this round in the carbine platform as we continue our tests. Remember, with any defensive round, the normal precautions apply. 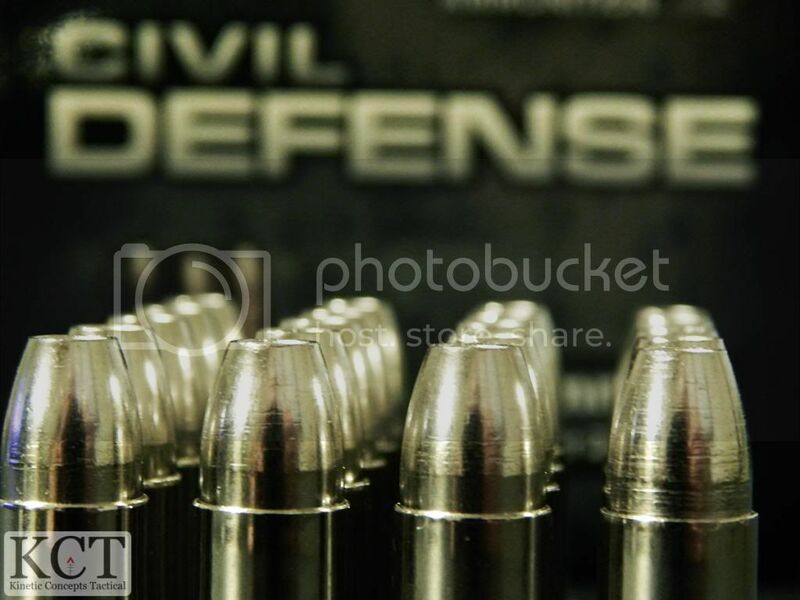 To truly judge the function of a defensive round, you should thoroughly test that ammo out before relying on it to save your life. We'll be going hands on with this round in the coming weeks, so we'll keep updating this as we get more time with the round. In the meantime, if there is anything you want to see, please let us know. I tried the 9mm in Kahr CM9 and did not have any problem feeding, but had failure to feed 30% of time in the springfield EM9. I tried the 380 ACP in my Kahr P380. It fed ok, but had failure to ignite the primer 10% of time (2 out of 20) even though the dimple was the similar size as the other firings. I wonder if anyone else has had same experience with the 380. I like the speed and the power but not the lack of reliability. I wrote the company, and got a response of we will get back to you, and nothing since. I have had no failures of any kind through a Kahr CM9, and also two full frame guns (Ruger P95 and Sig 2022). My Beretta CX4 carbine also feeds them fine. I've fired over 100 rounds over the last year and have never experienced any kind of malfunction. the 9mm ammo shot perfectly well with the S&W M&P Shield as it also shoots smoothly with any 9mm grain ammo.